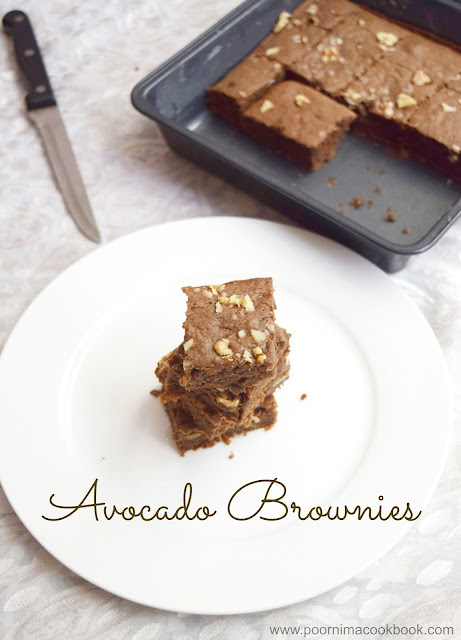 Can you imagine Avocado in a brownie? Yes, I have added mashed avocado! This healthy twist to chocolate brownie is simply amazing! 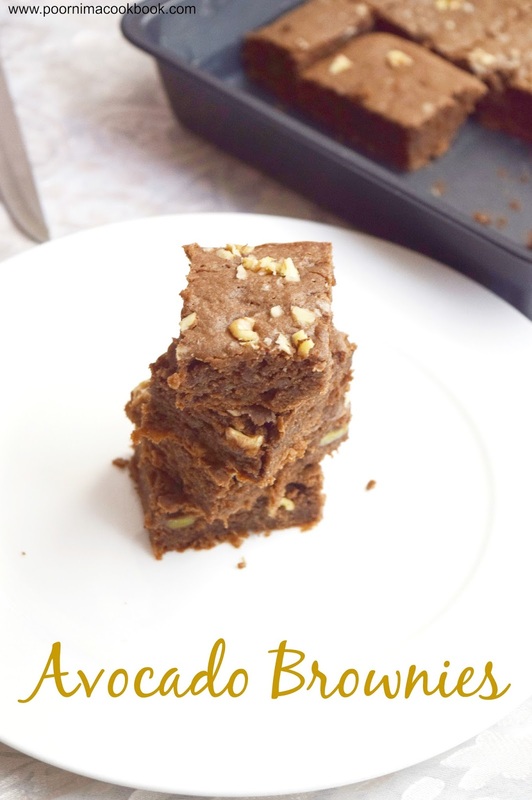 No one in your family will guess what is the secret & healthy ingredient behind this moist and delicious brownie! 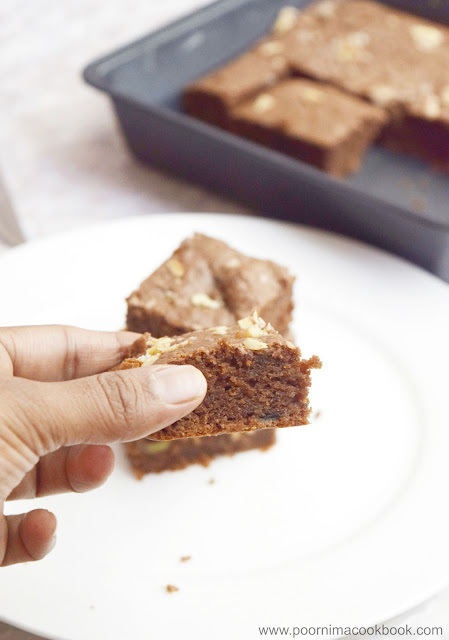 Try this healthy cake, less calorie brownie without guilt! Preheat oven to 180 deg C and prepare your cake tin (grease with butter / oil and dust it with all purpose flour); keep aside. Chop the chocolate into pieces and melt it a double boiler or in a microwave oven: keep aside. Using a knife; halve the avocado and remove the seed. Scoop the flesh and mash with spoon or fork. Take a bowl and add the mashed avocado, powdered sugar, eggs and oil. Beat well till it is frothy. Next add dry ingredients(all purpose flour, salt, baking powder and cocoa powder) to the avocado mixture and beat on medium speed until mixed thoroughly. At last add melted chocolate and mix well. Pour the batter into the greased cake tin and top it with chopped walnuts. Bake on preheated oven at 180 deg C for 20 – 25 minutes, until a toothpick inserted into center of a cake comes out clean. How can I make this without eggs?